"I love to lie! It's the truth." Pinocchio: Oh, look! My nose! What’s happened? The Blue Fairy: Perhaps you haven’t been telling the truth, Pinocchio. Way to lay it down, Jiminy. 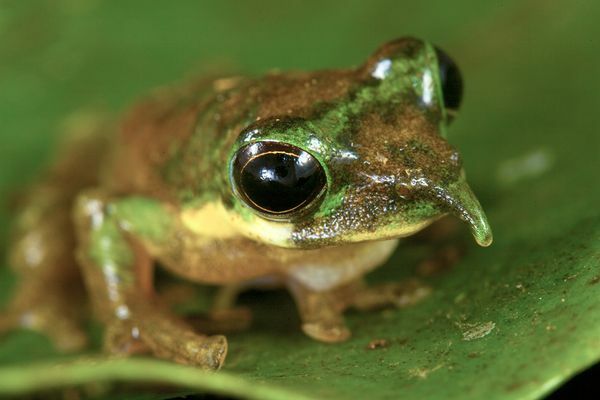 Turns out the male frog’s long, protruding nose points upward when it ribbits and hangs down low when it’s not. Nobody knows why. Creepy!